"You know I need some products to have this face!" That's what Carrie used to say to Big. True! With my several projects, I was too busy to really take care of myself but feeling good is important. Treat yourself! Let's sum up the last beauty products I tried. Clinique even better cream and dark spot corrector Clinique even better clinical: quite expensive, I only tried one month, but I felt it was good for my skin. The cool thing : Clinique offered me a little cute beauty case and beauty products and make-up inside. My favourite is the eye shadow. The mascara gives allergies. Vichy velvety cream, sun cream for the face: It makes your skin shiny, but that's because it's a really covering one. I don't understand people who like to burn their skin under the sun when we know all the damages it can do especially on the face! So dangerous and so 80s! Vichy anti-imperfection cream: helpful if you use it some nights. Dior foundation powder: one of the best I ever tried! Just be careful of the way you use it. 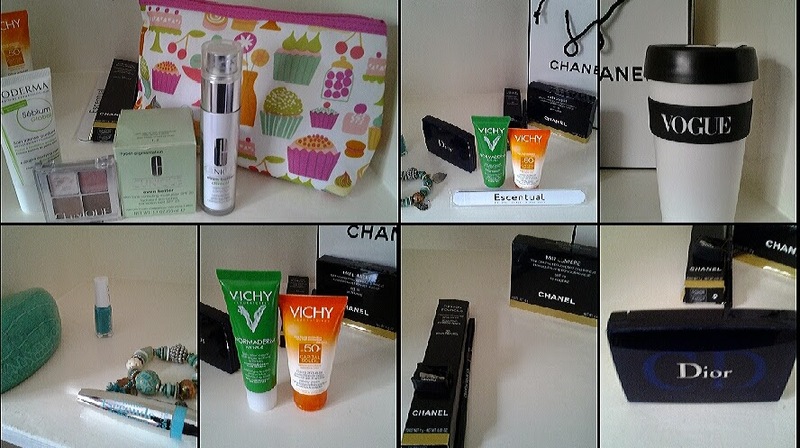 Bioderma, Vichy, Nuxe, Chanel... because most of my beauty products are made by French brands, I now buy on Escentual and often go to South Kensington, the French area of London. MY TOP 10 BEAUTY LIST! CLICK!